I've got day by day suggestions on how to spend 3 days in Tokyo, with a mix of modern and traditional. If you’re wondering what to do in Tokyo for 3 days, I’ve put together the ultimate guide with more than 30 things to see in Tokyo! Bold and modern. Refined and traditional. When it comes to Tokyo, you’ll find that contrasting descriptions are often just as accurate as each other. Japan’s capital is one of the most exciting cities in the world and there are many layers to Tokyo. From the religious to the imperial, and the crazy to the weird. There are temples, parks, high-rise buildings, colourful streets, world-class museums, and plenty more! Combine that with a fascinating everyday culture, great food, vibrant nightlife – and you’ve got a city that will not disappoint. 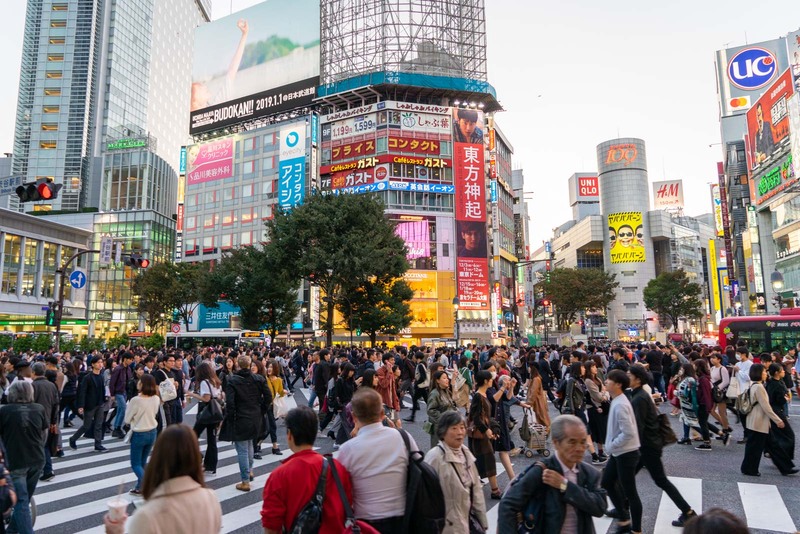 There’s no shortage of things to do in Tokyo and, in fact, the real difficulty on a trip to Tokyo is deciding how to make the most of your limited time. With so many things to do, it can all seem a bit overwhelming – particularly if it’s your first time in Tokyo. I’ve been here many times and have been able to explore different parts of the city and discover some of the best things to do in Tokyo. I thought it might be useful if I shared what I’ve learned in a way that you can use to plan a trip to Tokyo. What I’ve done is put together a 3 day Tokyo itinerary because that seems to be the most common length of stay. Of course, if you’re doing more than 3 days in Tokyo then you can just use all my suggestions and go a bit slower. Or, if you’re spending less than 3 days in Tokyo, you can just choose the suggestions that most appeal to you. Is 3 days in Tokyo enough? Well, that’s for you to decide – but, as you’ll see, you can pack a lot into a 3 day trip! At the end of the detailed 3 day itinerary, I’ll have some more suggestions for things to do that you could swap for any of my specific recommendations, so you can personalise your trip to your interests. If you’re using your smartphone, just click on the icon in the top right to open the map in your Google Maps app. Then, as you walk around, you can keep track of where things are. I have tried to limit the amount of travel you’ll need to do – but there will still be quite a few times where it might make sense to use public transport to move around. My top tip for travel in Tokyo is to buy a Tokyo Subway ticket for 24, 48 or 72 hours. They are quite cheap and if you’re using public transport more than a few times each day, you’ll save a lot of money. It also makes it much easier because you don’t have to use the confusing ticket machines each time. And the passes cover both the Tokyo Metro and Toei Subway lines, meaning you don’t have to worry about which company’s lines you want to take. You can find out all the information about a Tokyo Subway ticket here. I’ll mention the relevant Metro or Subway stops as we go through the itinerary. For the first morning, let’s start in a part of Tokyo called Chiyoda. It’s not the geographic centre of the city, but it is considered to be the political centre of Tokyo because it’s where the most important national institutions are. 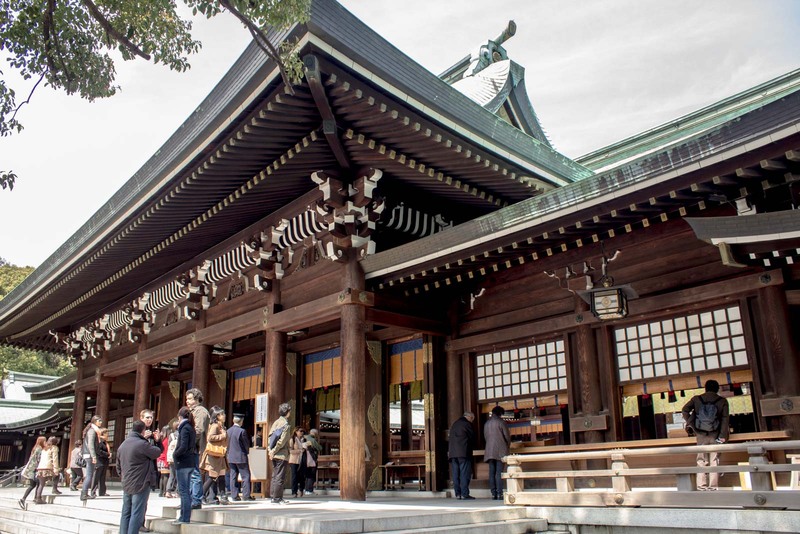 The first stop is the Yasukuni Shrine (use Ichigaya or Kudanshita station). This Shinto shrine was founded by the emperor in 1869 to commemorate Japan’s war dead. It’s a beautiful shrine set in a lovely 600 metre long park that has different monuments along the approach and two large torii gates. 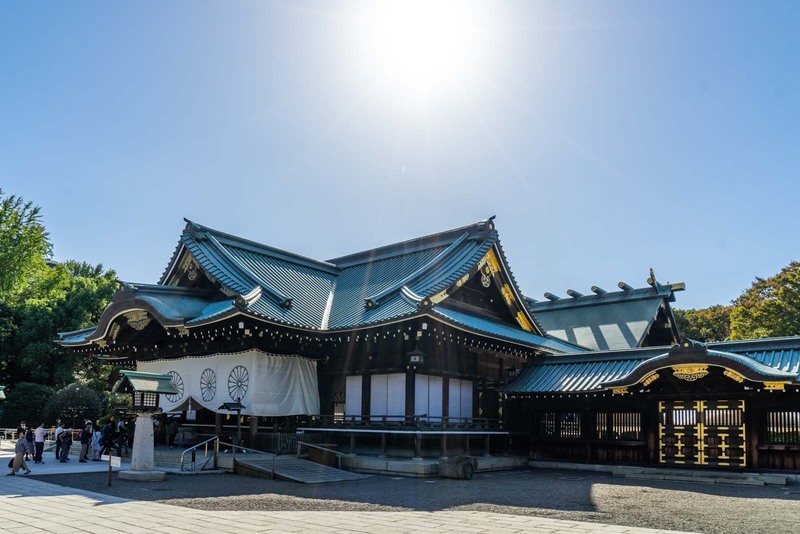 Although it’s a very pleasant location and a popular tourist attraction, Yasukuni Shrine is controversial because among the 2.5 million people who are honoured here are 1068 who have been convicted of war crimes. Next to the Yasukuni Shrine is a related museum called the Yushukan. 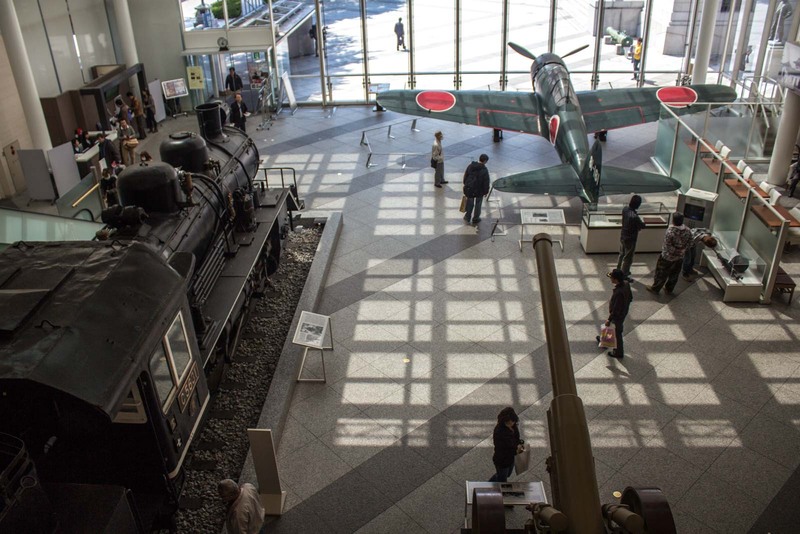 The museum tells the story of Japan’s military and war history and is worth a visit. There are lots of exhibits to see and it does a good job of telling the stories of different periods in Japan’s history. However, you’ll notice quite quickly that there is an obvious bias here towards Japan’s version of events. If you know your modern history, you’ll be able to see when something is unbalanced – and seeing how things are presented from the Japanese perspective is quite interesting. However, if you’re hoping to learn an objective world history here, you’re in the wrong place! 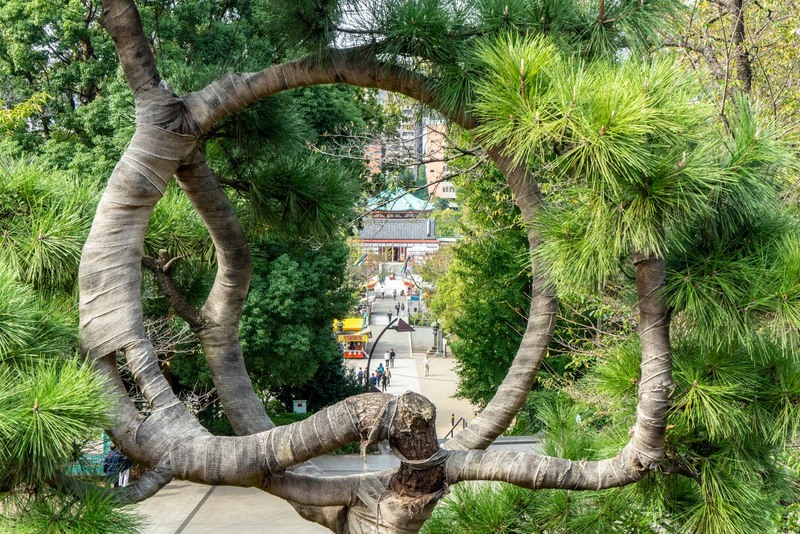 From Yasukuni Shrine, walk down through the park and under the magnificent tori gates until you can cross the road and go into Kitanomaru Park. 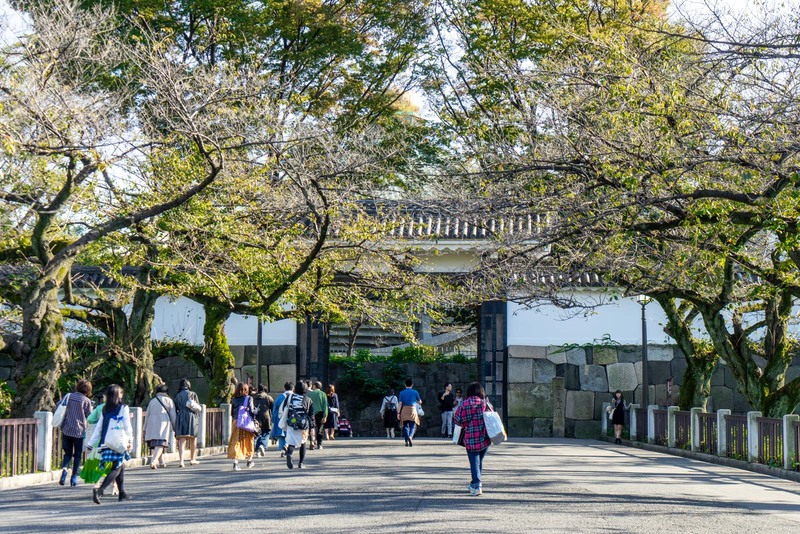 The impressive entrance gates make sense when you find out that the park used to be part of Edo Castle, the castle that was built in 1457 as the most important part of Edo (the former name of Tokyo). As you wander through, you’ll go past the Budokan, a martial arts sports arena that is also used for concerts these days. Further along is the Science Museum, the National Museum of Modern Art Crafts, and the National Museum of Modern Art. I wouldn’t really recommend the science or craft museum for the average tourist. The only museum that is probably worth seeing is the one with modern art. However, if you only have three days in Tokyo, you’re going to be quite busy and it’s probably better to skip it. The Imperial Palace of Japan is now located in the centre of the site that was once Edo Castle. It’s an enormous piece of land (and during the property bubble in the 1980s was said to be worth more than the entire real estate market of California). This is the primary residence of Japan’s Imperial Family and so it’s probably no surprise that it’s not all open to the public. 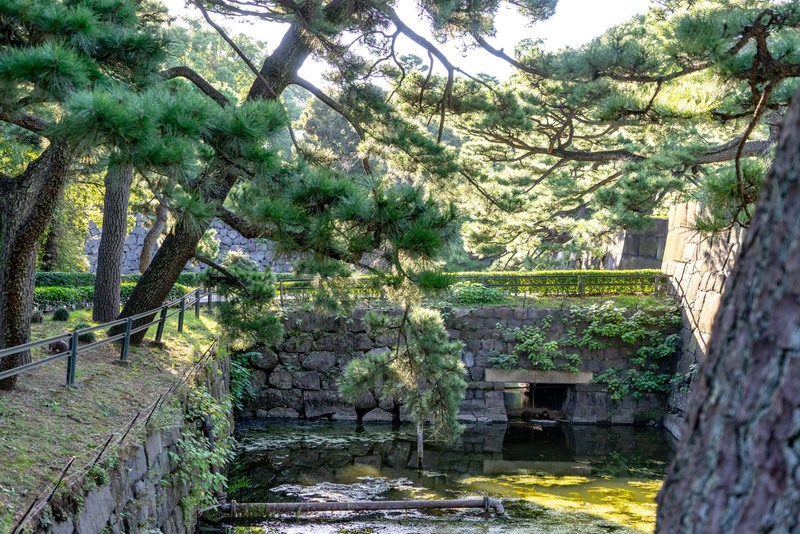 However, you can go into a significant portion of the site, known as the East Gardens of the Imperial Palace. It’s a lovely area with traditional buildings, ponds, landscaped gardens, and small forests. I would suggest entering from the northern Hirakawa Gate and then leaving from the eastern Otemon Gate. By now, you’re probably getting hungry. I’m not going to make any specific recommendations for food because there are so many possibilities. But I would suggest walking over to the Nihonbashi area for the best selection. For the afternoon, let’s head to the Asakusa part of Tokyo. This was an entertainment district of the city between the 17th and 20th centuries but it’s now more about the history than the nightlife. Catch the Metro to Asakusa station and start from there. 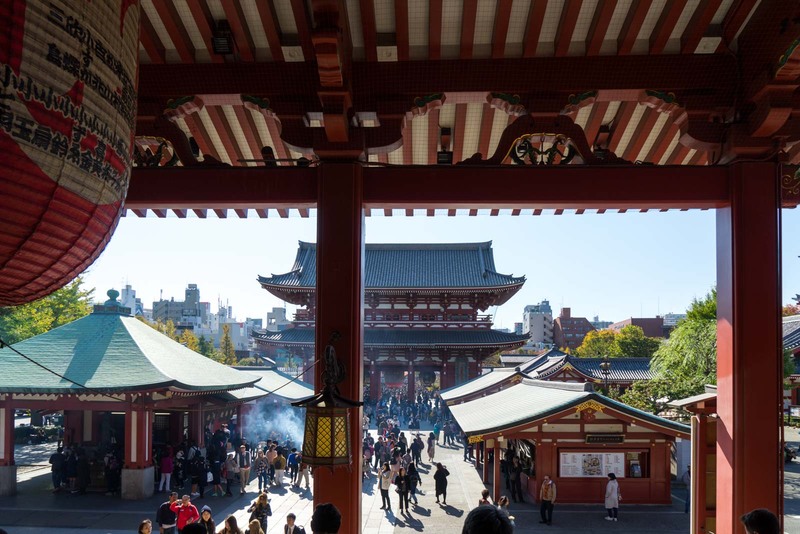 As you approach Senso-ji Temple, you’ll need to walk through the 1000-year-old (but restored) Kaminarimon Gate and then down a long avenue of stalls known as the Nakamise Shopping Street. There’s a decent selection of local snacks here and you’ll also find some nice (but not cheap) souvenirs. 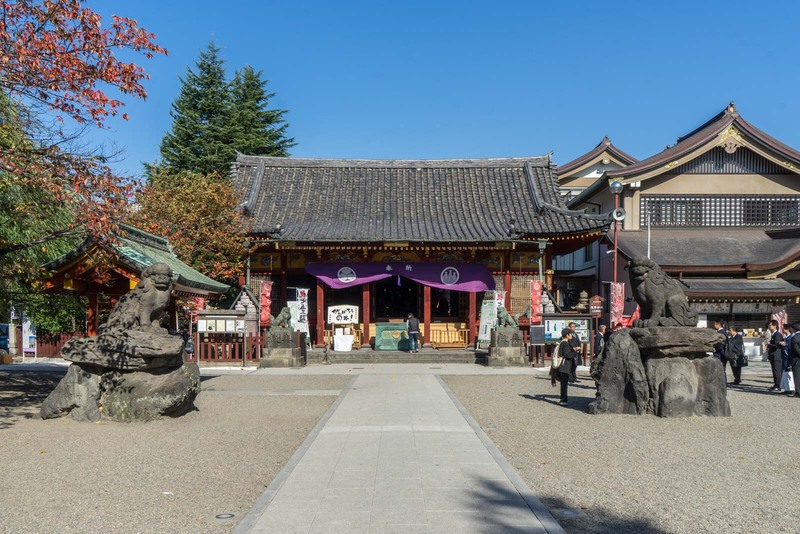 The main temple is at the end of the street, where you’ll also find another impressive gate called the Hozo-mon and a five-story pagoda. Senso-ji is one of Tokyo’s most important temples and, having being founded in 645, it is officially the city’s oldest. There’s always a lot of action happening around it but there are also opportunities for some quiet reflection. Next to Senso-ji Temple is a smaller Shinto site called Asakusa Shrine. 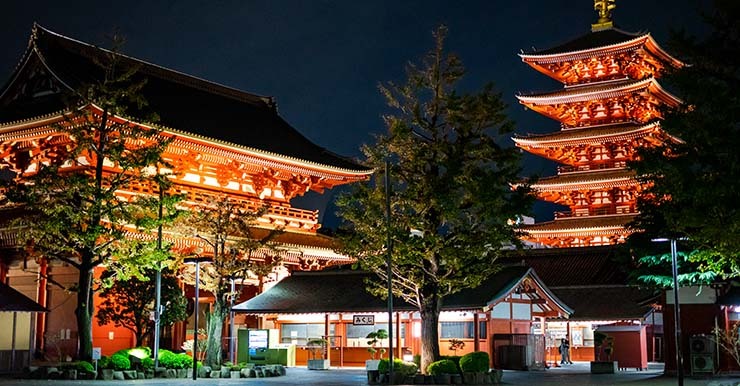 It was founded in 1649 and was built to honour the three men who founded the Senso-ji Temple. It’s a good example of the complicated relationship between the Buddhist and Shinto religions in Japan, which are peacefully intertwined. The Asakusa Shrine is not nearly as impressive a building as its neighbour but it’s still worth having a look. From here, it’s also just a short walk of about 5 minutes to the Sumida River, where you’ll get a quite nice view of the water and the Tokyo Skytree on the other side. On the other side of Senso-ji is Hanayashiki Amusement Park. Don’t expect Tokyo Disneyland or anything on that scale. This is a small boutique amusement park. 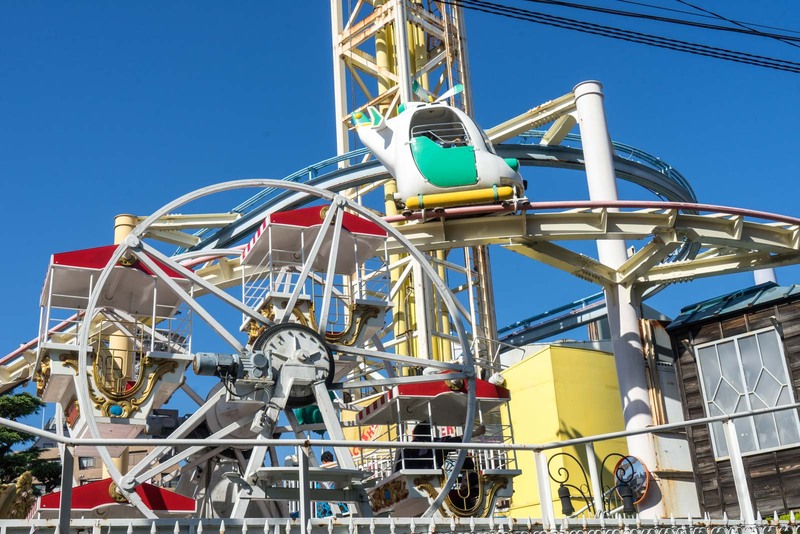 Hanayashiki is the oldest amusement park in Japan and was first opened in 1853 as a flower park that gradually had other attractions added to it. The rides are all packed close together and there’s nothing too dramatic. In fact, most of the attractions seem quite old compared to modern expectations so don’t expect huge thrills. You have to pay to go in and then you also pay for each ride. I wouldn’t suggest it’s worth the cost unless you have young children. But, having said that, you can have a quick look from the outside and maybe you’ll be in the mood for a bit of an unusual experience! Next, let’s head over to Ueno Park (use Ueno station), which is just to the west of Asakusa. 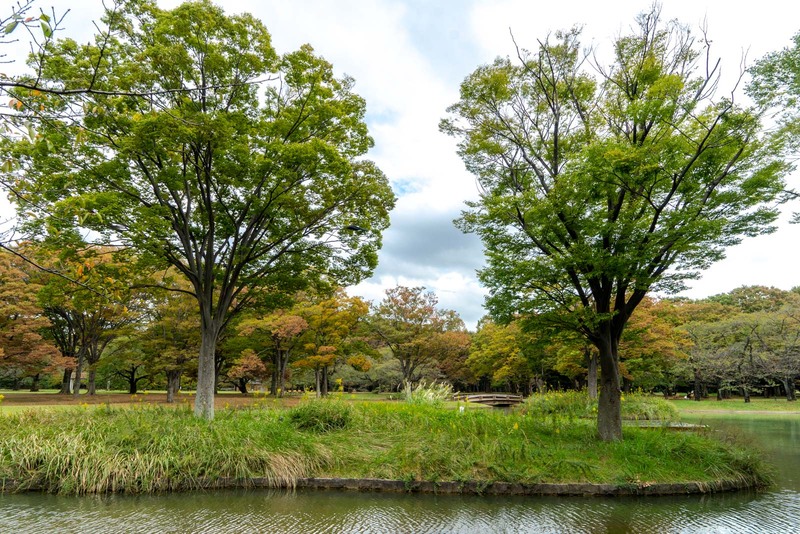 It was one of the first public parks in Japan and was opened in 1873. The park itself is quite pretty (especially with cherry blossoms in spring) and you can easily see some of the small attractions like the Tosho-gu Shrine. But the main reason I’m recommending it is because of the important museums that are here. 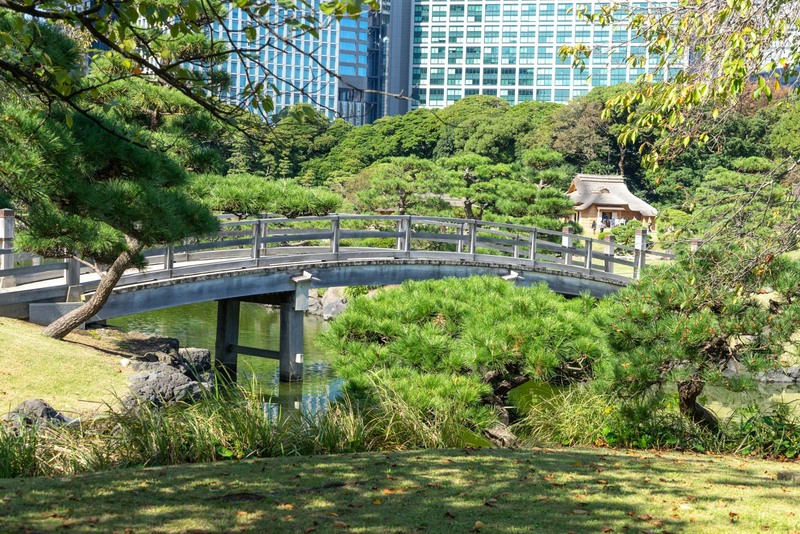 In Ueno Park, you’ll find the Tokyo National Museum, the National Science Museum, and the Tokyo Metropolitan Art Museum. They are all very good and you could visit any of them, if you’re interested. 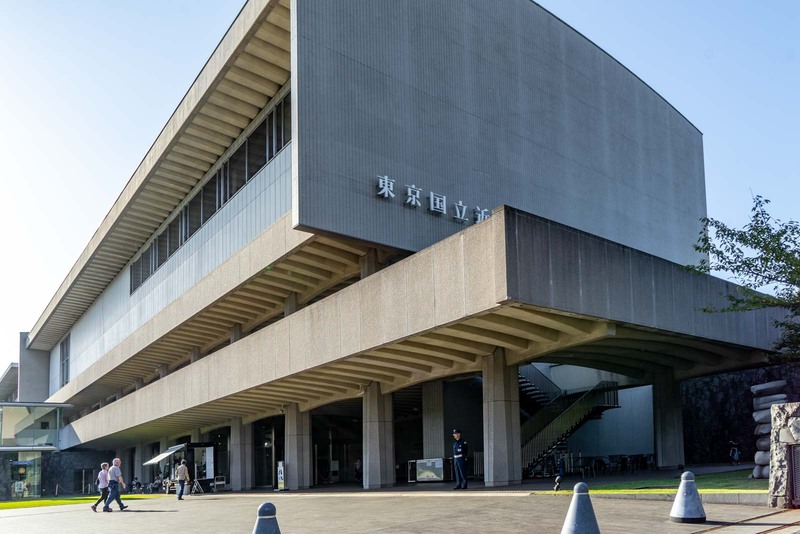 However, if you only have 3 days in Tokyo, you’re going to be short of time so I would recommend just visiting one museum in Ueno Park – the National Museum of Western Art. The National Museum of Western Art is worth visiting for two main reasons. The first is the collection. There’s an impressive collection of art from the Renaissance period through to the 20th century. Works from some of the world’s most important artists are here – including Picasso, Monet, Van Gogh, Rodin, and Pollock. But the more important reason to visit the National Museum of Western Art is for the building itself. The architecture is quite amazing and is internationally-acclaimed. 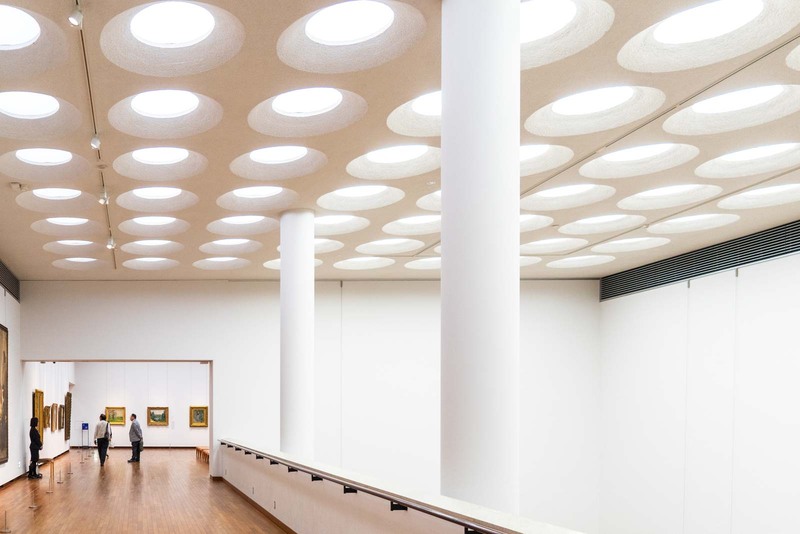 The museum was designed by the Swiss architect Le Corbusier and it was added to the World Heritage List in 2016, alongside some of his other buildings in six other countries. From Ueno Park, I suggest you head to the Akihabara area. It’s just a 15 minute walk or you can catch the Metro to Akihabara station. 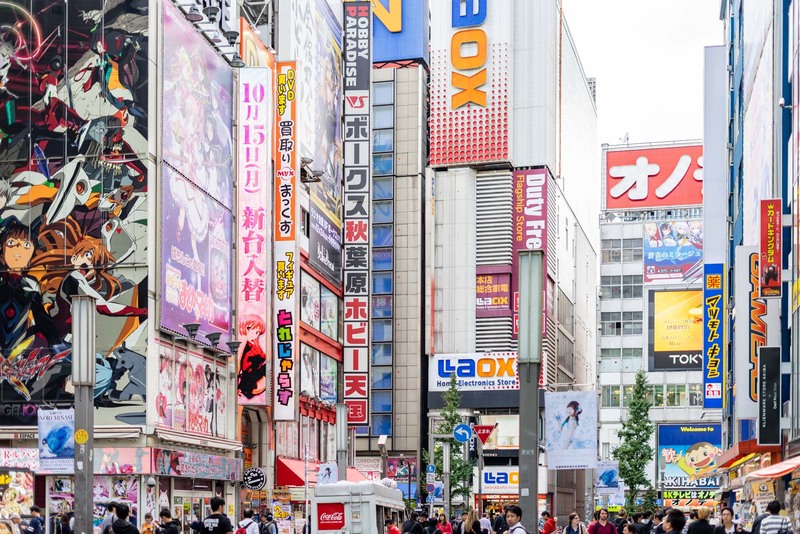 When you think of the quirky side of Japan, you’ve probably got something like Akihabara in your mind’s eye. This is the centre of the die-hard fans of things like manga and anime and many of the shops here are aimed directly at them. I think it’s great fun to wander the streets and look into these shops. You’ll find all sorts of fascinating things related to Japanese pop culture for sale. 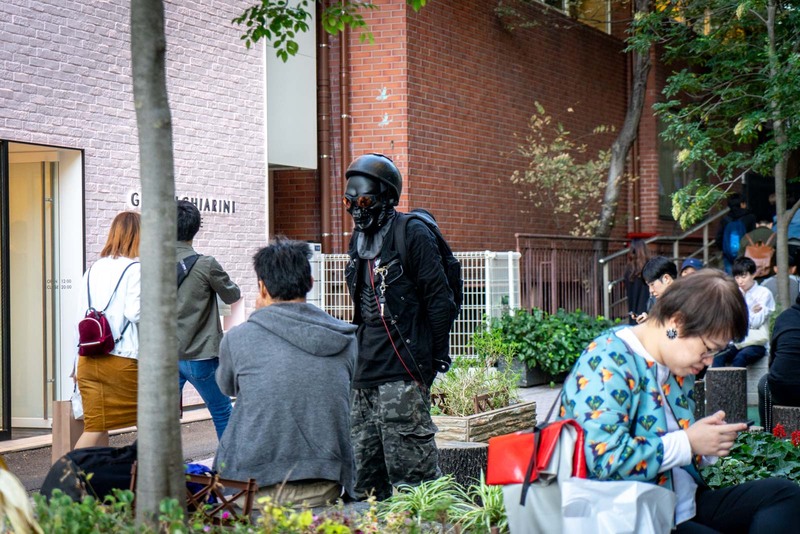 It’s also been taken a step further and this is the area where you’ll find some of the strange venues like maid cafes, owl cafes, and other places with anime characters. Akihabara is also famous for electronics stores and it’s interesting to look through the shops to see the new technology that’s on sale. If you’re interested in picking up any electronic goods, this is a good place to look. And that’s the end of the first day of my suggestions on how to spend 3 days in Tokyo. Later on, I’ll give you some options about what to do in the evenings because I’m assuming not everyone is interested in the same kind of activities. For the first day of my suggested 3 day Tokyo itinerary, we looked the eastern side of central Tokyo. Today we’re going to explore some things on the western side. When you think of Tokyo, you tend to think of the busy modern areas or the popular historic sites. But there is a quieter traditional side to Tokyo too, if you know where to look. It’s why I’m suggesting the Kyu Asakura House as the first stop this morning (use Ebisu or Naka-Meguro station). The house was built for a politician called Torajiro Asakura in 1919 so it’s grander than your average family home and is a wonderful example of traditional Japanese design and architecture. The main building is made from wood with screen doors, tatami mat floors, and the usual minimalistic design. There’s also a large garden that has been carefully manicured that takes 10 minutes or so to explore. It’s a nice way to see a bit of quiet heritage in this bustling metropolis. It’s worth noting that the area around the Kyu Asakura House, called Daikanyama, is very posh these days so if you’re interested in looking at high-end boutiques or fancy cafes, you might like to explore the streets a bit. Next, head to near Shibuya, which is just a 20 minute walk or catch the Metro from Ebisu station. 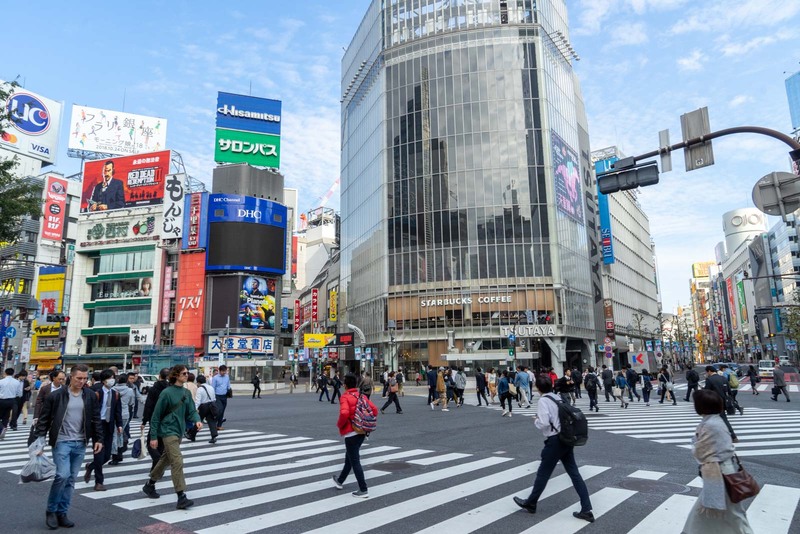 Shibuya is one of Tokyo’s most hectic neighbourhoods and, for tourists, it’s become particularly famous for the world’s busiest pedestrian crossing, which is outside the main train station. It is quite interesting to do some people-watching at the intersection and you might like to get a coffee from the Starbucks there so you can get a window seat and look down on all the action (although getting a good seat can be difficult). Shibuya doesn’t have a lot of specific things to see for tourists but there’s plenty here to keep you entertained. Just walk the streets and experience all the action. It’s famous for its shopping – particularly with younger trendy fashion – so it’s a good place to check out the stores. When you’re done, catch the Metro to Omotesando station (or it’s a 20 minute walk). This puts you in the centre of Tokyo’s most important fashion district. Even if you’re not interested in shopping, seeing the stores and (more interestingly, I think) the people is a fascinating view into contemporary Tokyo. 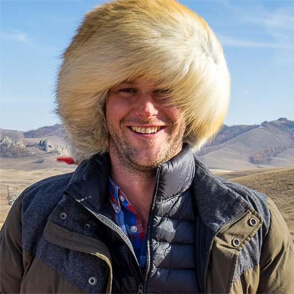 The styles here are really interesting and some are pretty crazy! Walking along the main Omotesando avenue will take you past the big name fashion brands and it’s easy to see why it’s been dubbed the Japanese Champs-Elysees. I would suggest going to the top floor of the Louis Vuitton store to see their special (and free) art gallery. As you head to the west, you’ll come into the famous area called Harajuku. Get off the main avenue and explore the side streets, which have all the coolest youth fashions and trends. There are some great little cafes and restaurants here too and I would suggest it’s a good place to get lunch (unless you want to eat in the park, as I’ll mention next). From Harajuku you can walk to Yoyogi Park (or, if you’ve changed the itinerary slightly, catch the Metro to Yoyogi-Koen station). Yoyogi Park is one of Tokyo’s most interesting parks but not because of the landscaping – because of the people. For a long time it’s been a place for performers, for cosplay, for musicians, and other hobbies involving fashion and arts. These days, you see less of the costumed people than you might have a decade ago, but there’s still a fair amount of action – particularly on weekends. You may like to pick up some takeaway lunch from somewhere – a bento box from a convenience store, for instance- and eat it in the park while you watch the action. This Shinto shrine was opened in 1920 and dedicated to Emperor Meiji (who had died eight years earlier) and his wife. He was one of the most important Japanese emperors in history and is credited with bringing Japan into the modern era and opening it up to the world. There’s a long leafy approach to the Meiji Shrine (also called the Meiji Jingu Shrine), which is set in a quiet forest. You can pay an entrance fee to walk through the large inner garden here, but I don’t think it’s necessary. The main hall of the shrine and the associated museum in the treasure house are interesting enough on their own. There are quite a few locations throughout Tokyo where you can get incredible views of the city and I’m going to mention a couple of them in this itinerary. The first is the Tokyo Metropolitan Government Building, which is where I recommend you head next. If you head out the northern entrance of Meiji Shrine, it’s about a 20 minute walk or you can catch the Subway from Yoyogi station to Tocho-Mae station. The Tokyo Metropolitan Government Building has two observation decks (one in each of its towers) and they’re both 202 metres high. You get great views of Tokyo and, if the weather is good, you can even see Mount Fuji! One of the observation decks is open in the evening and I’ll tell you a bit more about that in the nightlife section later on. But the other most important thing you need to know now is that it is free to go up to the viewpoints! 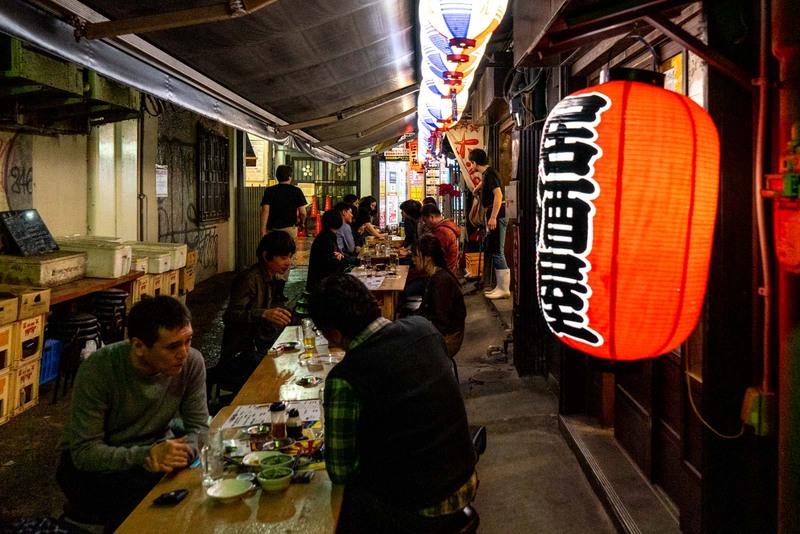 Now you will have ended up in Shinjuku, one of the most vibrant neighbourhoods of Tokyo. You’re not going to find yourself short of things to do here! 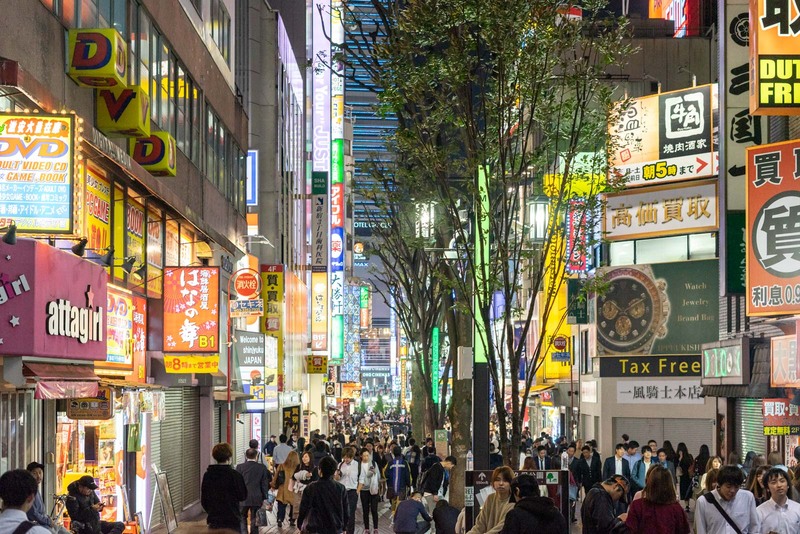 Shinjuku is jam-packed full of restaurants, bars, shopping, and entertainment. Like Shibuya, there aren’t many sights in the traditional tourist sense. This is somewhere to be explored, rather than visited. I would suggest just taking some time to walk the streets and soak up the hectic Tokyo lifestyle. You may want to pop into a video game arcade, do some shopping at a department store, or just do some people-watching. If it’s approaching evening time, Shinjuku is the ultimate nightlife area so you’re in the right spot for dinner and drinks – and a bunch of other fun activities that I’ll cover later on. Now, for the final day of my suggestions for how to spend 3 days in Tokyo, we’re going to start at the southern side of central Tokyo, with a mix of historic and modern. There was a time when I would have said an early morning trip to the fish market was a must-do in Tokyo. But things have changed a bit since then. In October 2018, the fish market moved from the chaotic but colourful Tsukiji Market to the modern but sterile Toyosu Market (use Toyosu station). It means the experience of visiting the fish market in the morning is not quite as exciting as it once would have been – but it’s still worth doing. The highlight of a visit for many people is the early morning tuna auction and you can see this from behind a glass window between 5:30 and 6:30. But if you don’t want to get up early, there are other things to see. There’s plenty of action at Toyosu Market but it’s worth getting there sometime before 8:00 to see the best of it. 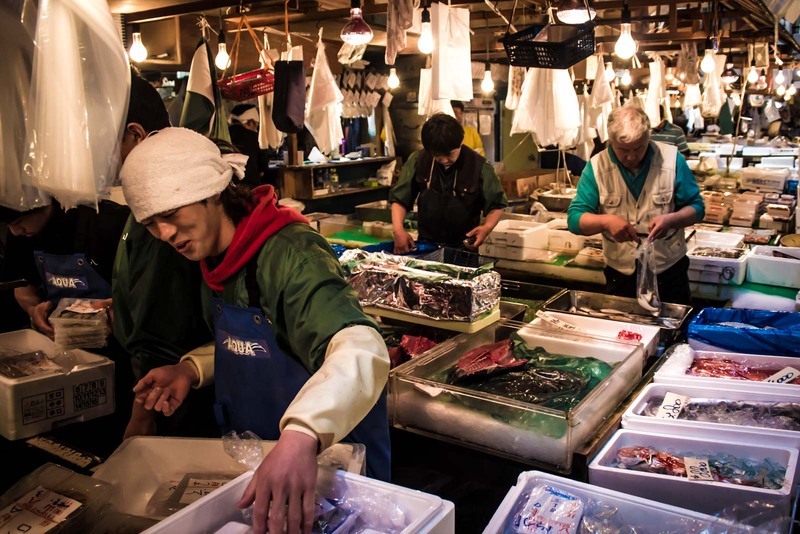 You’ll be kept a bit further away from the stalls than at Tsukiji, where you could walk amongst the vendors, but it’s still interesting. If you crave some nostalgia, you could still head to Tsukiji Fish Market (use Tsukiji station) where all the outer stalls and restaurants still exist. You’ll see quite a lot going on and it’s a great place to get a fresh sushi breakfast from fish that has come straight off the boat. 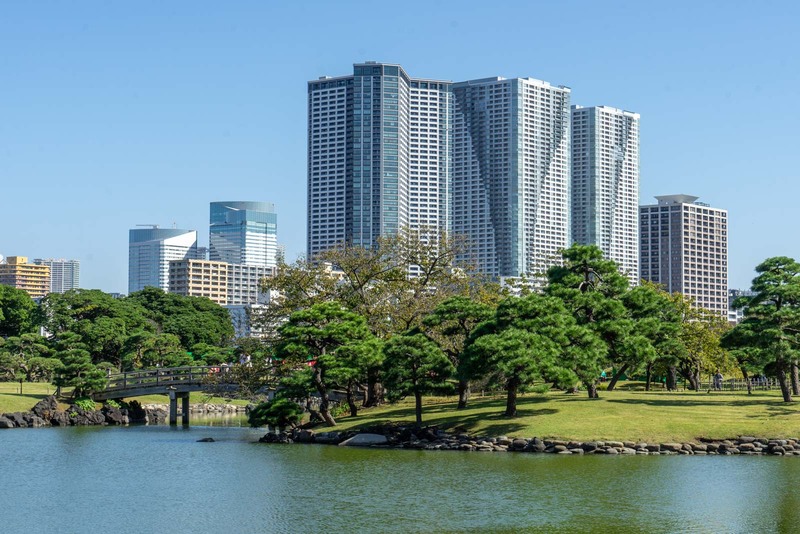 The beautiful Hamarikyu Gardens is one of the most beautiful parks in Tokyo (use Shiodome station). This large landscaped area is on a site that used to be a feudal lord’s villa and hunting grounds, and is where the Sumida River meets Tokyo Bay. 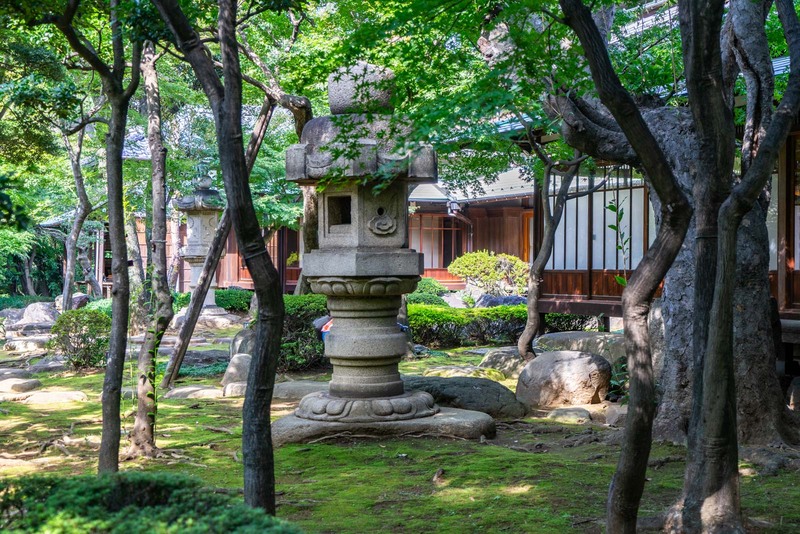 As well as the beautiful garden layout, there are specific things to see here like flower gardens, shrines, and viewpoints. There are teahouses where you can rest and there’s a water bus station if you wanted to go on a boat trip. There’s a small entrance fee to get in but I think it’s worth it. Each season has its own colours but it’s particularly beautiful in spring and autumn. After the gardens, I would suggest catching the Metro to Yurakucho station (or any of the Ginza ones). 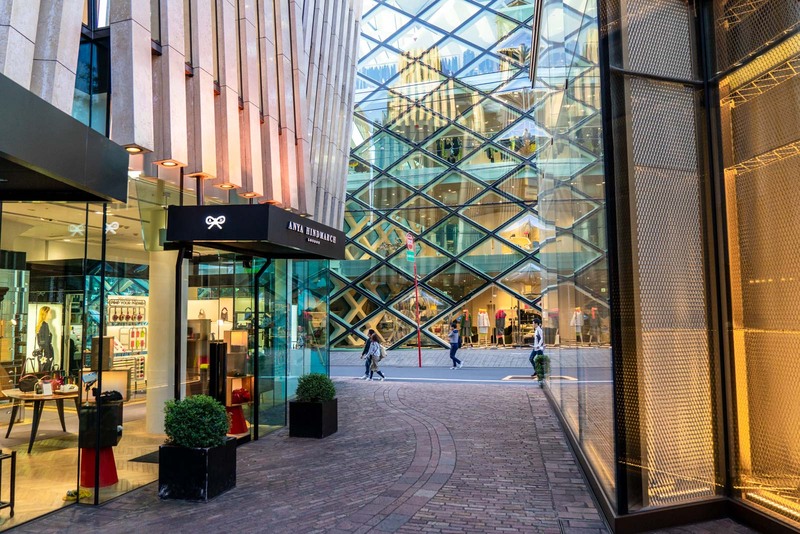 This brings you into the heart of Ginza, the most upscale district of Tokyo. You may have had enough of shopping (or window shopping) but, if not, this is where you’ll find some of the best boutiques and department stores. I love the shops that specialise in just one thing – chopsticks, chocolate, pens – you name it, you might find it here. Ginza also has high-end cafes and restaurants with specialist sweets and dishes, so it’s a good place for a rest. I’ve also suggested you come here because there are quite a few interesting things in the area to explore beyond just the streets – which are lively enough to catch your attention. 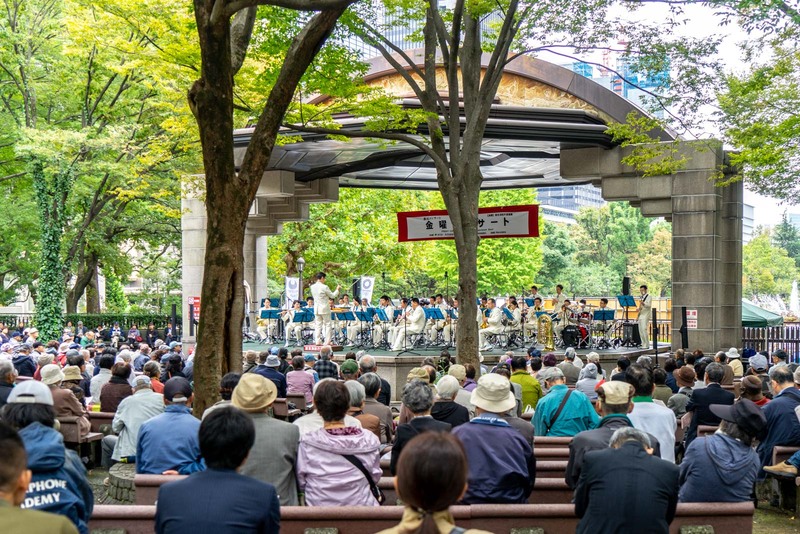 You can head into Hibiya Park which is always full of interesting activities like concerts, street performers, art, and flowers shows. You could have a look if there’s an exhibition that takes your fancy at the Mitsubishi Ichigokan Museum – and a new art gallery called Artizon Museum will be opening soon. You could pop into the Kabukiza Theatre for a a traditional Kabuki performance, or visit the National Film Centre. 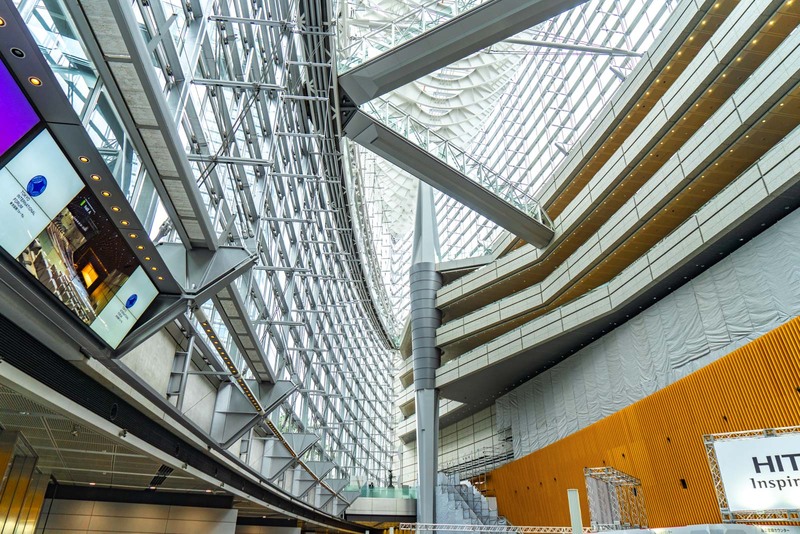 One thing I would recommend doing in Ginza is visiting the Tokyo International Forum. It’s a large exhibition centre that most likely won’t have anything you’re interested in (it’s used for conventions and trade shows). But I think you will love the architecture and so it’s worth going in to have a look at that alone! It was built in 1996 but still looks modern and cutting edge. It was designed by the same architect who did the Walkie-Talkie building in London (Rafael Viñoly) and has curved steel and glass, looking like a boat. It’s always free to go in and walk through the main section, so don’t worry if there’s something going on inside. And this brings you to the main Tokyo station, which is so enormous that the underground passageways feel like they’re taking you across the whole city. One of the popular parts of Tokyo station is the Ramen Street, where there’s a collection of good ramen restaurants in a little underground alleyway. You would definitely be able to find better ones across the city if you knew where to look but there’s something fun about this experience. It’s a good place for lunch today so choose your favourite, buy a ticket for your meal from the machine at the entrance, and wait in the queue for a spare seat. For this final afternoon of my itinerary for 3 days in Tokyo, I’m going to do something a bit different and not give you any specific recommendations. Instead, I would suggest that you use the time to focus on anything you may be particularly interested that I haven’t mentioned. You may have realised by now that the days I have already outlined are quite busy so perhaps there are some things you have skipped because you’ve run out of time that you can do this afternoon. Or perhaps you would like to go back to some of the neighbourhoods I have introduced you to so you can do some shopping, hang out at the cafes, or go to another museum. You may also be looking for some more things to do. Well, in that case, you’re in luck. I have a lot more suggestions for things to do in Tokyo that I haven’t put into the itinerary because they were a bit out of the way geographically or I didn’t think they were of general interest enough. Let me now give you a whole bunch more suggestions for things to do that you can fit into your 3 days in Tokyo. Some of these may seem a bit strange – but that’s the point. Tokyo may be full of tradition but it’s also one of the quirkiest places in the world and you’ll want to experience a little bit of that as well to get a true impression of the city. The Yayoi Kusama is relatively new, having opened at the end of 2017, and is one of the city’s most popular museums. It exhibits the works of the Japanese artist Yayoi Kusama who has made a name for herself internationally with her unique polka dot designs. It’s an incredible museum and is quite conveniently located in Shinjuku. I would have included it in the itinerary except that you can only visit by booking tickets well in advance for a specific 90 minute slot, so it can be hard to get in. Another of Tokyo’s new and popular art museums is the Mori Building Digital Art Museum: teamLab Borderless. It’s a digital and always-changing exhibition that is created with 520 computers and 470 projectors spread out over an enormous gallery complex. The idea is that, as you explore the physical space, the art that is being projected changes. Every person’s experience will be slightly different and every time you visit it will also be a new discovery. Tickets are a bit easier to get than the Yayoi Kusama Museum and in the quieter months you should be able to buy one online with just a day or two’s notice. But in busy holiday periods you should try as far in advance as possible. If you enjoying art museums, another one to consider is the Nezu Museum. 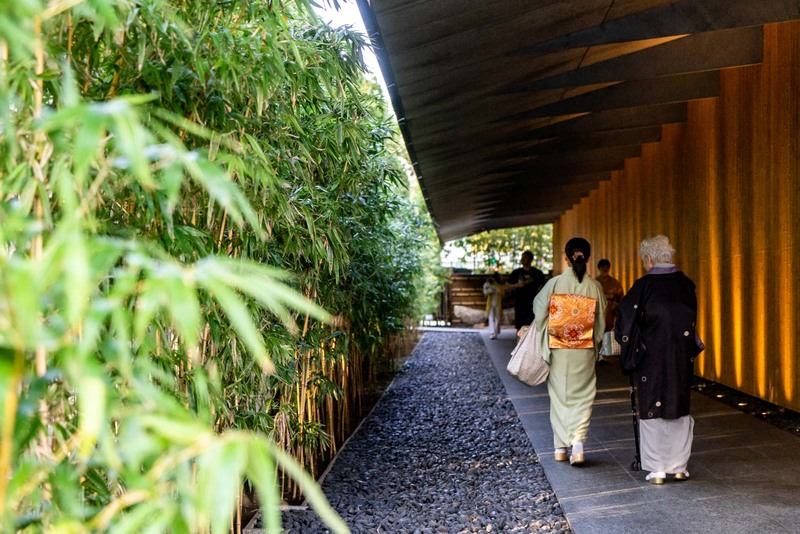 This beautifully-designed museum is a pleasure to visit for the building alone, but there’s also a wonderful collection of traditional Japanese and Asian art. The garden of the Nezu Museum is another highlight and quite a few people visit just to spend time there. It’s not one of the most famous spots in Tokyo but it’s high on the to-do list of people in the know. The museum is very close to the Omotesando area I suggested on day two, so you could add it into your plan for that morning. You may have had enough of temples and shrines but there’s one more I would like to recommend. I didn’t include the Hie Shrine in the original itinerary because it wasn’t close to anything else, but it is a very special spot. The Hie Shrine is one of the major shrines of Tokyo and is set at the top of a small serene hill that hides from the commercial buildings around it. The current buildings date from 1958 but it was established around the 15th century. 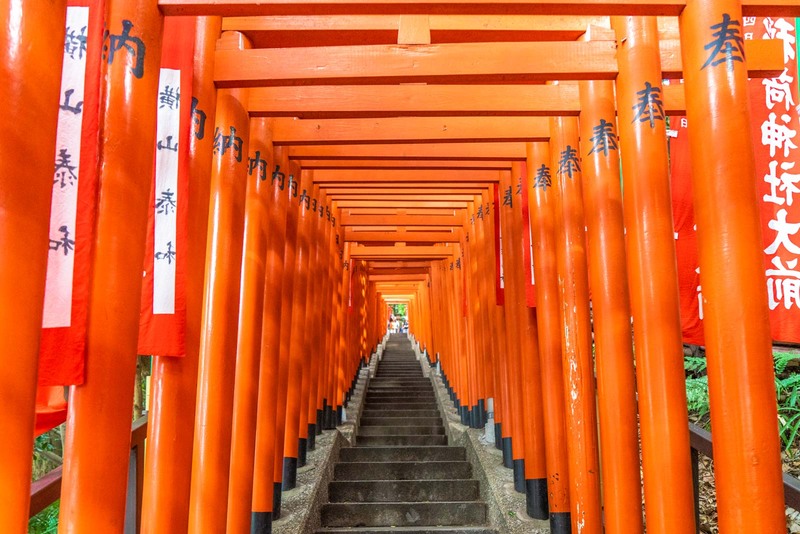 The highlight is the back (western) entrance, which has a staircase lined by 90 bright red torii gates. It may sound strange to go to a museum about parasites and, well, it is. But that’s why I found it so interesting. 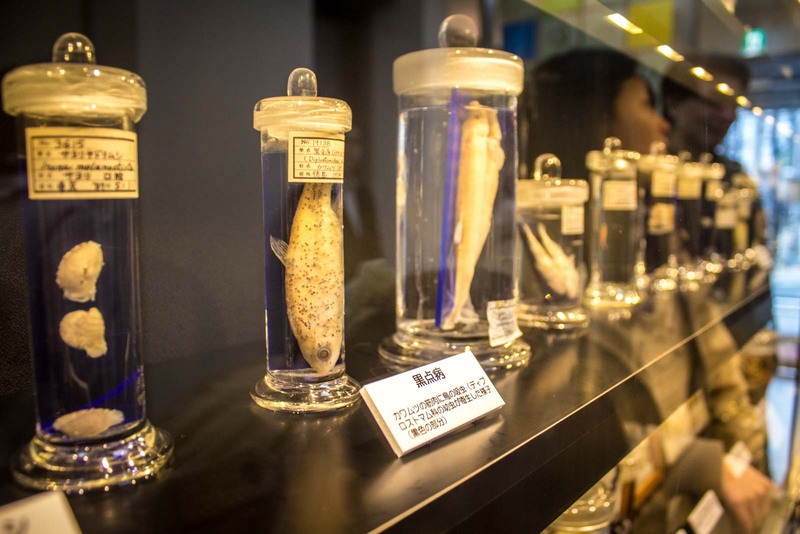 The small Meguro Parasitological Museum has free admission to the exhibition space where it shows all sorts of parasites that have been recovered from humans and animals. The centrepiece is the 8.8 metre long tapeworm. It may not be worth going out of your way to see the museum but if you would like something a weird, it’s quite close to the Kyu Asakura House. This centre, which is also called the Ikebukuro Earthquake Museum, is another strange Tokyo attraction. 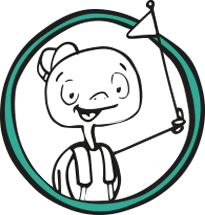 Its main reason-for-being is to educate Japanese people about the dangers of earthquakes and fires and the best ways to stay safe. 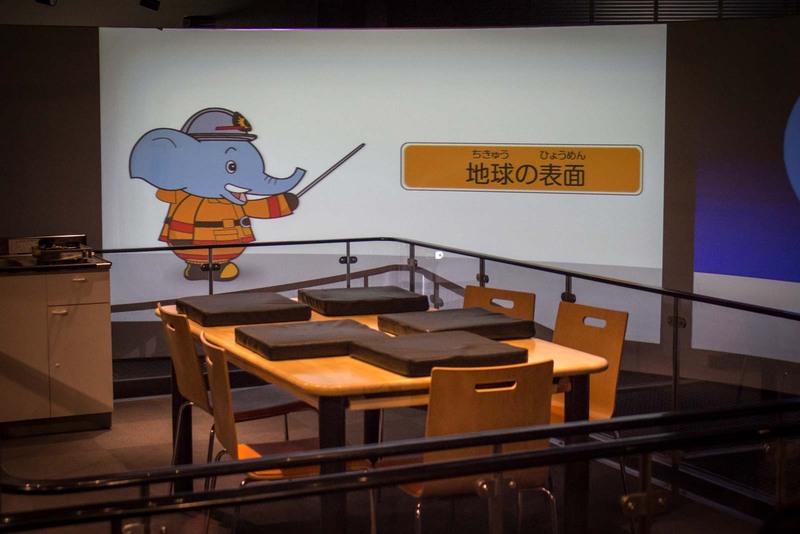 It’s run by the Tokyo Fire Department and has some museum areas and short presentations. But the reason you might want to visit is to experience an earthquake in its simulator. You can also practice using a fire extinguisher. The centre is more than happy for foreign tourists to come along. They know we’re doing it for a bit of fun but are pleased that we’ll also learn some safety messages. This small museum may not take up much space but it is absolutely full of things to see. 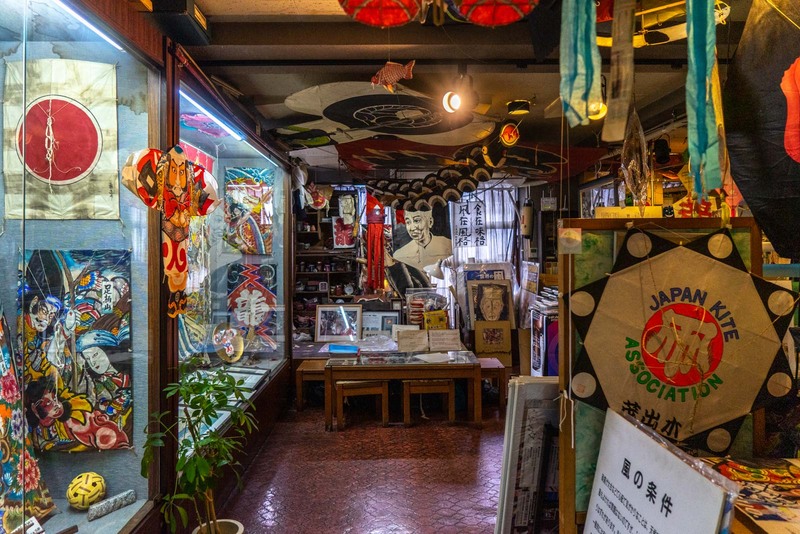 The Taimeiken Kite Museum is a personal collection of hundreds of kites and related items. There isn’t too much in the way of explanations – just lots of colourful kites in display from traditional Japanese designs through to modern commercial ones. It’s a fun thing to pop in and see and doesn’t take too long if you don’t have a specific interest – although you could spend much longer if this is a hobby of yours. It’s in Nihonbashi near Tokyo station so it won’t be too far out of your way to visit. Japan has gained a reputation in recent years for having weird cafes and it seems to have become self-perpetuating. What may have originally been organic and of genuine interest to locals has become a marketing trend where people are always looking for the next idea to catch the public’s attention. 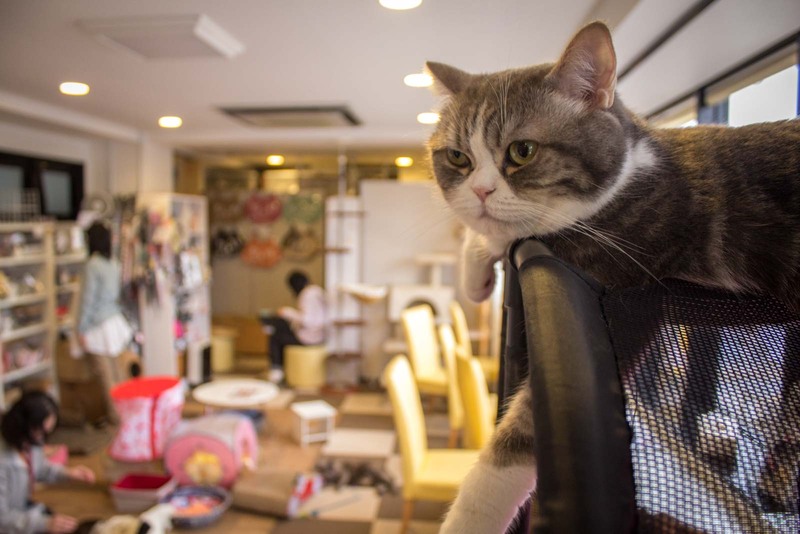 I think a visit to a cat cafe is still a nice Tokyo experience because this is where it all started – and playing with some friendly cats for an hour is quite fun for most people. Whether you would also be interested in an owl cafe, a hedgehog cafe, a reptile cafe, or anything like that is up to you! 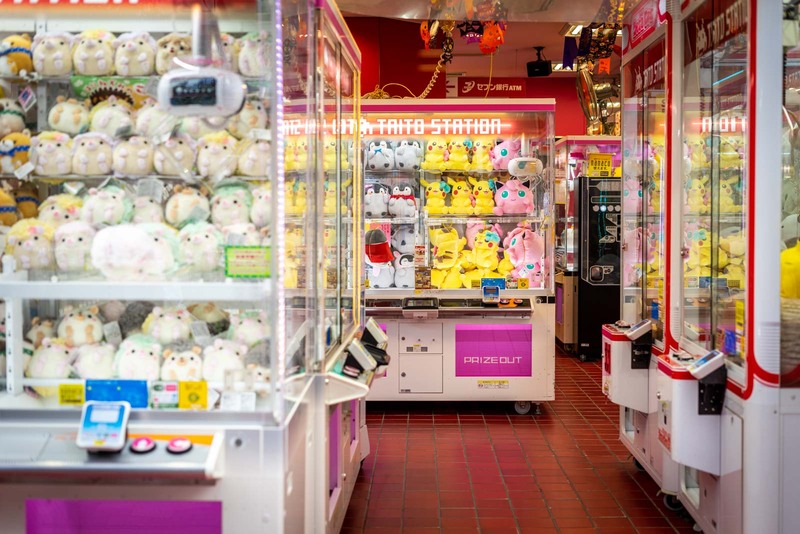 You’ll find other things that may take your interest – the maid cafes in Akihabara, a ninja cafe, a dungeon cafe, a Moomin cafe, and much more! Odaiba is a large artificial island in Tokyo Bay that has become an entertainment and shopping hub. It’s where the Mori Building Digital Art Museum, which I mentioned earlier, is located. There’s much more to it than that, though, and you’ll find shopping malls, small amusement parks, restaurants, museums, and interesting architecture. It has attractions like Legoland and Madam Tussauds – so you can probably get a sense of what it’s like from that. I didn’t recommend it in the main itinerary because I don’t think it’s as authentic as everything else but it’s well put together and is probably particularly interesting to children. There’s certainly lots to see and you could easily spend an afternoon here going to a couple of the museums. Finally, I’m going to remind you that there’s a Disneyland here in Tokyo. I’m not going to dwell on it because you know what a Disneyland is but I think it’s worth mentioning. There’s so much to do in Tokyo and so much of it is unique to this city, I don’t know why you would want to spend a day at a Disneyland. But if you have more than 3 days in Tokyo and if you have children with you, it could be a fun way to spend a day. So, I’ve just given you a huge amount of suggestions on what to do in Tokyo in 3 days – but I haven’t mentioned the evenings. That was intentional. While sightseeing during the day can be quite similar for most people, nightlife is different. So I wanted to give you that information separately. 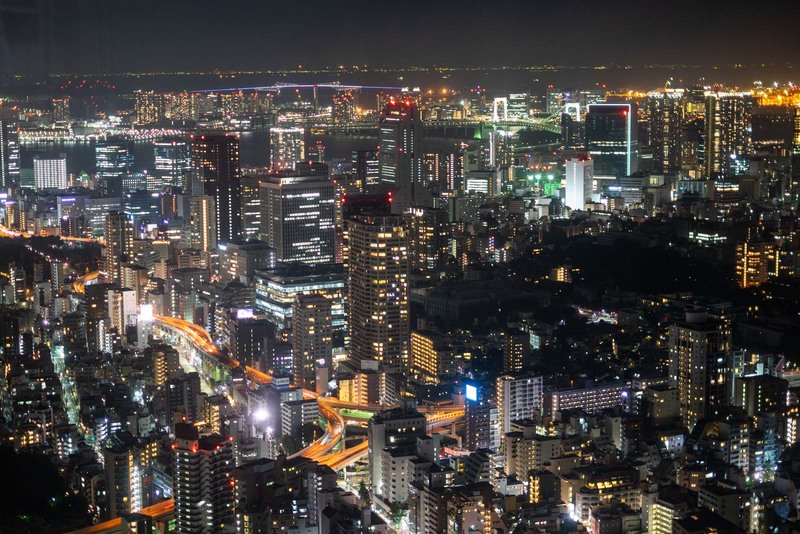 I would definitely recommend you go up at least one viewpoint at night to see Tokyo when it’s all lit up – and there are a few options for that. 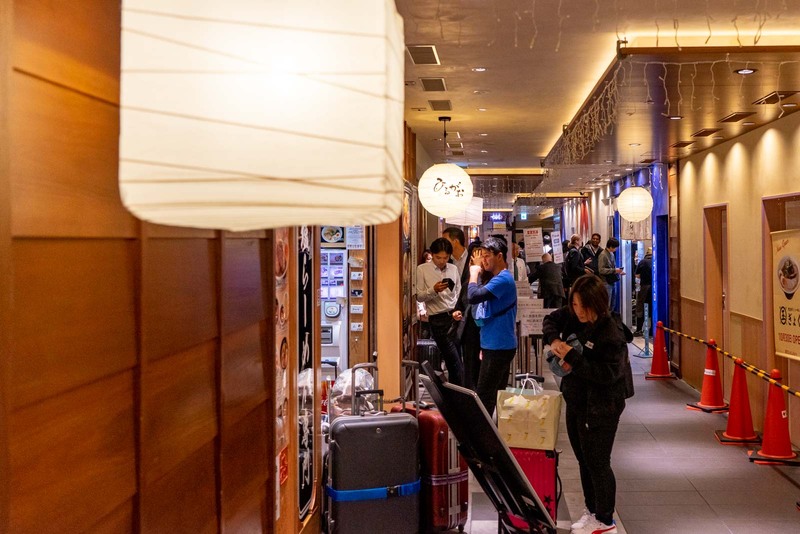 I would also suggest you consider a food tour or at least try a few different types of dining options, such as izakayas, to get a true Japanese experience. There are lots of fun activities you can do at night like arcade games, karaoke, and baseball. And, of course, you will likely want to go for a drink or two – and there are some good districts where you can do that as well. Rather than go into all these options in great detail here, I have written a separate story with my suggestions for things to do in Tokyo at night. For all the extra information, you can have a read of that. And that brings me to the end of this epic story about the best way to spend 3 days in Tokyo. I hope you’ve found this 3 day itinerary helpful. If you have any feedback or any of your own suggestions, please use the comments section below to leave a note. What a comprehensive guide will save it for my future trip! This is a great 3 day Tokyo adventure Michael. Can you suggest the best thing to do in a one day tour? Great ideas and suggestions. Loved it. Tokyo is really beautiful.